Yay! I’m so excited that this medical bill has been paid off! We owed a local hospital $389.24 from an Emergency Room visit at the beginning of this year. Yep, we have insurance. Good insurance too. But that’s how much we still owed for x-rays, tests, doctor fees, etc. Sheesh. It took 7 months of small payments but it’s paid. Finally! If you get a medical bill that you can’t pay upfront, call the billing office for the hospital or doctor’s office and tell them you can’t pay all at once. Ask to work out a payment plan and they will usually be glad to set one up for you. When we got this bill we certainly didn’t have a extra few hundred dollars lying around and very little extra per month, so I asked for the smallest amount we could pay monthly which turned out to be $50ish bucks. Yeah, we could probably have paid extra on it but we had other expenses that took priority so we just kept the payment plan on track. The good thing about a payment plan is that they don’t usually charge you interest so you aren’t going to owe less if you pay it sooner, hence there is less incentive to pay it off quickly. To counter this, the hospital will usually require that an automatic debit come out of your bank account every month so that they ensure that they get their money and that you don’t default on your agreement. The alternative is for you to throw away the bills and overdue notices, the hospital tries to recoup some of its losses and sells the bill to a creditor who starts calling you, and your credit report and score gets dinged, sometimes heavily. You would still owe that money and now you have creditors calling and sending you letters, as well as a lowered credit score. Not good. It’s just easier to work out the payment plan. So now what? : So what happens to that $50 bucks we were throwing at this bill every month? It becomes part of our debt snowball. I don’t operate exactly like Dave Ramsey’s plan (I pay attention to interest rates and try to pay over minimum payments wherever possible), but I subscribe to the principle of it. This doesn’t become extra money that gets blown on movies and pizza. Nope. It’s still debt money and is now applied to another bill that need to be paid. So now we will start making larger monthly payments to pay down other debts faster. Have you had to work out a payment plan for a medical bill? Have you paid off any bills lately? What do you think of the debt snowball method? I live in Canada, so we don't have medical bills here, but I've been getting seriously dinged on car repairs recently. I've been tapping my emergency fund which I'm not really happy about, but at least I have the money to pay for it, which wasn't the case a few years ago. Congrats on getting the bill paid off, and even better, congrats on rolling the extra cash into debt repayment, instead of back into your discretionary income. Thanks Jordan! Man, I wish we didn't have medical bills. That's a huge percentage of US debt (along with consumer debt, student loans, and mortgages) and is definetely most of our debt. Unfortunately we don't have much of an emergency fund. It keeps getting depleted and is often for car repairs too, but I guess that's what it's there for. So now we are trying to rebuild it. Good for you in making the effort to own your resposibility and pay off your debt. It's the little things that can set you up for success or failure. My husband and I had very little when we started and a cross country move for his position in the military damaged the front axle of our car. Credit was very hard to get back then so a $600 loan from my folks let us get the care repaired so I could find a job and be able to pay it off. We too made installments, but it set us up for a lifetime of being conscientious. Today 29 years later we've paid off all consumer debt and are moving on well to be totally debt free with out mortgage. Loads of changes in our lives since those early days, but the habit of responsibility has made us stronger in all areas. So I truly applaud your efforts and success!! I agree with Linda. To straighten out your medical bill, you really need to own it. That’ll give you the mindset to treat it a priority, thus increasing your motivation. You did a great job of communicating well with your billing office and being honest with them. That’s the thing about medical billing. It should be a co-dependent system between the hospital, the insurance provider, and of course the patient. Thanks Edwina! I agree and always try to review my medical bills and call my insurance and the doctor's office with any questions. This is quite late but still, congratulations! Getting out of debt is really a great accomplishment. Planning is indeed a great solution because it helps us to be organize and get focused on the things that's important the most. Congratulations! That must have been a large thorn that was removed from your chest. 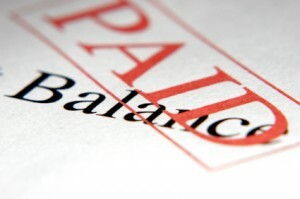 You have made a wise choice going for a payment plan as it reduces a large bill into smaller, more manageable ones. The key here is to not break the trust of the hospital by regularly paying. Otherwise, you might lose any discount you were given. I read this blog, I think it is very helpful for "medical billing", Medical Claim, Solutions offers a variety of services to meet the needs of any "Medical Coding service". In our efforts to service the broad range of physician specialties, our services are extended to medical providers of all specialties, emergency room physicians, hospitals, clinics, and dental providers.For more details: http://youtu.be/TKj6ewOreZ0 and http://www.dailymotion.com/video/x1o1ewy_medmedicalbilling_news .